Young athletes are leaving organized sport at an alarming rate. The data is undeniable—over 70% of children quit their sport by the age of 13. We know there are many contributing factors, but the number one reason given among children polled is that there’s too much focus on winning. If you’ve ever been curious as to how the media is contributing to that exodus, they recently provided a shining example. A few weeks ago, our Canadian Luge Team had their fourth-place finish in Sochi upgraded to a bronze medal. The Russian team in Sochi had previously placed 2nd, earning the silver, but have now officially been disqualified for doping infractions. Terrific news for the Canadian team members, its coaches and for all of those keeping score of the medals. However, the unfortunate piece of this otherwise good news story isn’t just how it was celebrated in the media but, instead, that the team’s performance was finally celebrated in the media. When athletes learn that their performance isn’t worthy until someone else tells them so, the result can often lead to individuals who look outside of themselves for self-worth and who, thereby, struggle to live in the moment. Not surprisingly, both of these characteristics contribute to feelings of anxiety and low self-esteem—neither of which are conducive to positive mental health, let alone high performance. Look, I think it’s great that our athletes were recognized in this instance for what they rightly deserve—especially when cheaters are involved. The trouble for me is that the media didn’t celebrate that same performance the first time when it was a 4th place finish and not quite podium-worthy. Think about that for a second. 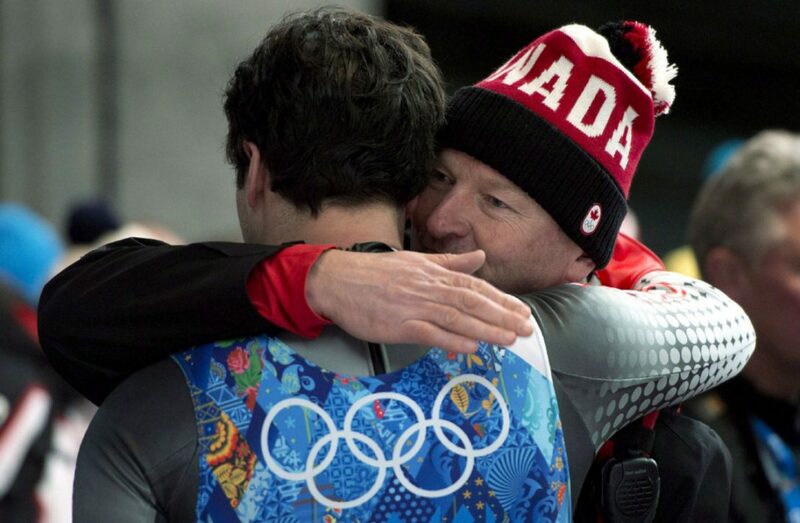 In 2014, our Canadian luge team in Sochi was shown on television looking distraught and disappointed, while being consoled by their coaches for not earning the bronze medal position. Now, four years later, using the same footage of those athletes racing and their corresponding combined times, the media is showing them high-fiving one another upon hearing the news of their bronze medal. What changed? Well, clearly not the performance. But, instead, the media and others perception of what good enough is. Those same results were now worthy of media attention because they landed them on the podium. The message being—We didn’t like you then, but we sure as hell like you now! Let’s look at this another way. Imagine it’s Christmas morning, and your 8-year-old child has just opened their big present from Santa. The reaction on their face morphs from surprise to excitement and then joy. They are completely enthralled with their new toy and appear content to play with it for the remainder of the day. A few moments later, your younger child opens their present from Santa. They go through the exact same emotions. However, as they hunker down to a day complete with their new toy, the older child looks over and notices what their younger sibling is now playing with. Upon further investigation, the older child deems their siblings’ toy more appealing and soon begins to protest their toy from Santa for what it lacks when compared to the other. We now have a child who seems ill-content with something that moments ago was completely acceptable. At this point, as parents, we know to step-in and have a conversation with our child that reflects values of gratitude, sharing and celebrating in the awards and accomplishments of others. For me, some obvious questions beg—why do we tolerate a paradigm in sport that we would otherwise not as responsible adults? When our children display values that we know will contribute to a life where happiness and fulfillment are compromised, we address it—because we know better. I appreciate that the very nature of competition involves comparison. However, like the child who saw it’s new toy as good enough before it had a ‘competitor,’ why can’t we allow athletes to feel that same sense of good enough with their best performances void of comparison? Believe me, I appreciate that an integral part of the Olympic Games is the pursuit of medals—gold ones in particular. I lived that life 30 years ago—I get it. And, having said that, I have no problem with celebrating the podium finishes of our Canadian athletes. I’ll be cheering as loud as anyone. However, if that’s all we deem worthy of our collective celebration, we’ll miss out—we’ll all miss out. With the Olympics less than a month away, I trust that the powers that be can see the many opportunities on the horizon—medals included. Canadians will be watching. All Canadians—young and old. You couldn’t ask for a more diverse audience and, therefore, a chance to positively influence the direction of sport in this country to one that considers it’s greater purpose. Not to mention the prospect of curbing the decline in numbers in organized youth sport. However, if we continue to utilize our medal count as the basis for our national pride, daresay our national self-worth, we’ll perpetuate a reputation in sport that continues to push people away—both participants and spectators. Instead, if the media can embrace and truly celebrate what is intended to be the essence of the Games as described by its own Creed—The most important thing in the Olympic Games is not to win but to take part… , perhaps we can create a defining moment where we as a nation begin to look inward at what truly defines us as a people. Where doing our best—where being our best is seen as good enough. Imagine the powerful impact of that message to our youth who struggle in a world of hyper-comparison on social media. There’s more to these mystical Games than just owning the podium. In fact, if we’re not careful that infatuation may run the risk of compromising the beautiful human interest stories the Olympics are known for. Perhaps, the media can tell us more of those. Share the journey of as many Canadian athletes as possible—not just the ones who finish atop the podium. Make the questions about their hardships and their triumphs in just getting to the Games, not just what went wrong on the day and about how devastated they must be. Help our athletes realize their worth is not determined by a clock or a judge or a scoreboard or by standing on a podium. As Canadians at home, if we can see our athletes celebrate their best at the Olympic Games, then perhaps in the larger game of life we can too.